We specialize in 3D Tours and 3D Scanning. Our technology allows us to capture the true essence, vibe, and ambiance of any space! Through the use of High Quality images and precise data, we are able to compose 3D Tours that allow anyone to experience Venues in a smooth, easy and fully immersive way. Our tours are VR-ready and viewable on all devices. The Real Estate market is saturated with the exactly same, low quality pictures and videos of available properties. imangu is dedicated to change that trend! Our visionary 3D/VR Tours bring a breath of fresh air into the Real Estate industry. Our platform and features let potential tenants, sellers or buyers fully understand the layout and ambiance of any property - as if they were really there. We have created tailored-made packages to support your Real Estate business or private listing. Show your property open to potentials buyers or tenants 24 hours a day, 7 days a week! VR Tours are a great way to stand out from the competition and provide superior service. imangu's immersive technology is currently the most innovative and advanced way to showcase and experience any space. Bring your listings to life now! Real Estate agents offering imangu's 3D/VR Tours of properties, present a much richer experience and allow buyers to get an accurate sense of space. Use VR as an 24/7 open house​ available from anywhere in the world. 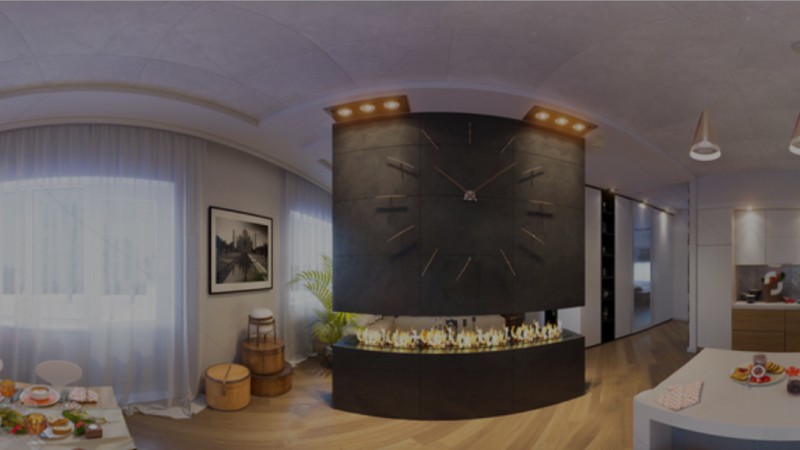 imangu's 3D/VR Tours are the highest quality virtual tours that you can get to showcase your business. With an online virtual tour, you can share your unique venue to the entire world and attract visitors from far and wide. We have an extensive history of successful collaborations with hotels, restaurants, stores and event organizers. We now your needs and we've got your covered! Get in touch and let us take care of all your needs. Embed imangu's 3D Tours on your website to share the complete, feature-rich experience. Enrich your social media marketing with a tech-forward, interactive tour and give customers a preview and peace-of-mind before they visit your in person. Spark interest and drive traffic to your location with tech-savvy marketing. Allow clients and investors to virtually visit your other locations in other cities. Always have your business location with you on the go thanks to 3D/VR Tours' compatibility with mobile devices. Place a VR headset ​in your hotel lobby​ or give guests a complimentary, hotel-branded Cardboard VR headset ​to enjoy in their room. Open a VR Collection of ​nearby tourist attractions​, visit the ​lobby​, ​hotel spa​, and even their ​own room​! Give guests ​peace of mind​ before they even arrive. See places that are ​not normally visible​ like banquet halls, meeting rooms, kitchens, and VIP areas. Open your doors​ 24 hours a day, 7 days a week, to the entire world! VR Tours give travelers the chance to "try before you buy" as they experience and interact with a 3D World by putting on a VR headset. We can help you capture the attention of any prospective visitor right where they started their search - online. Users spend up to 52% longer on online pages with embedded 3D/VR Tours. 2 out of 3 consumers want more virtual tours of businesses. Interactive virtual tours allow people to explore, connect with, and experience businesses as if they were there in person. imangu's Virtual Tours can play a significant role in strengthening your digital presence by showcasing your facility in ways that pictures can’t. Travellers need to know if your facility has the amenities and atmosphere they want. Professional virtual tour imagery showcases your business in its most favourable light. Ultimately, people want confirmation that they’re making the right choice, and having a virtual tour helps them choose your hotel or tourism business with certainty. 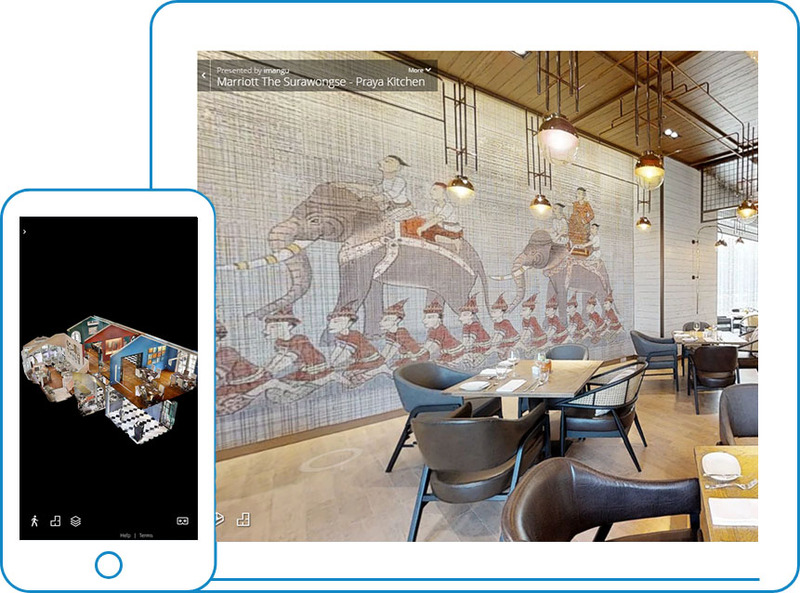 Leading clubs, major hotel and resorts, and large-scale venues are already using 3D/VR Tours to drive more bookings, align guest expectations, and help alleviate the need to visit in person before making a booking decision. With our experience in the Entertainment industry, you can be sure that your expectations are always met. Get in touch with us to learn more. We are here to help! 3D Tours offer immersive views of your property through Inside View, Dollhouse View, and Floorplan View. 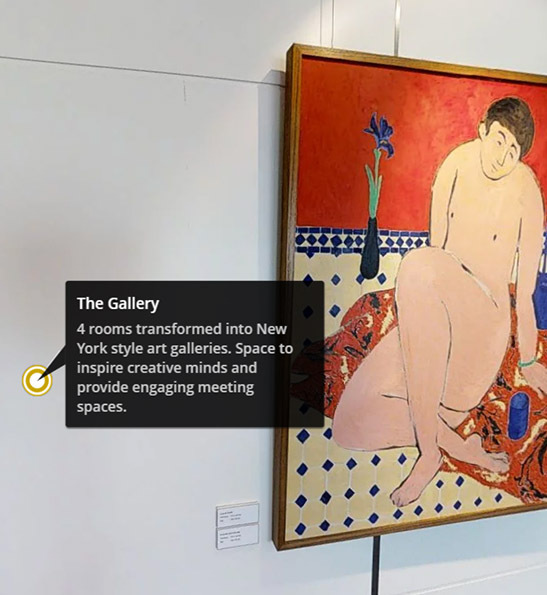 Include annotations directly in your 3D/VR Tour to highlight key features of your venue. Enhance stories and drive eyeballs by immersing your audience completely. Take advantage of this realistic and exciting technology! Our concepts are proven. We specialize in 3D Tours and Virtual Reality. Our custom packages are all you need. You can relay on our experience and dozens of satisfied clients. Visually enhanced training and learning is much more effective. We can help you create content for your internal training purposes. Enhance your stories and campaigns by offering audiences a revolutionary way to experience any real-world place, procedures or trainings right from their browser or virtual reality headset. 3D Tours are the most immersive and engaging way to experience real-world places straight from the web browser. Virtual reality takes this sense of immersion to the next level by blocking everything else and making visitors feel like they're really there. Include annotations directly in your 3D Tour to highlight key features of your business or property. Use pictures, videos, descriptions or links to add an informative layer ready to be explored by the visitors. Turn the Tour into a multimedia hub! 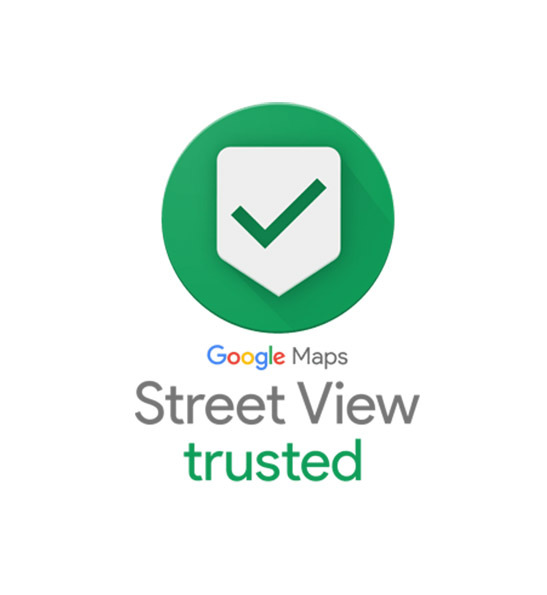 Our 3D Tours can quickly and easily be added to extremely popular Street View service by Google, as well as Google Business pages. Create a competitive advantage in a crowded landscape, driving more qualified traffic to your business. Access accurate measurements of your property or everything that's in it at anytime without the need to visit the venue. Just in case you need to redecorate, plan or renovate! The ability of furnishing virtual spaces is a highly-sought after feature by business owners and real estate agents. 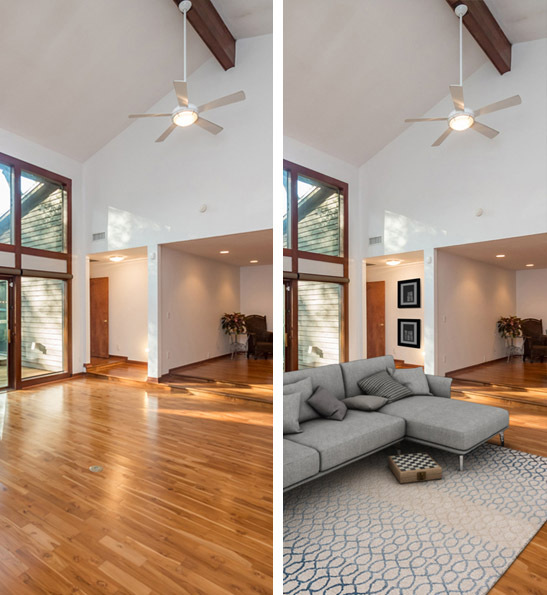 Due to a growing demand by customers for virtual staging of 3D spaces, imangu is now offering top-class virtually staged imagery. 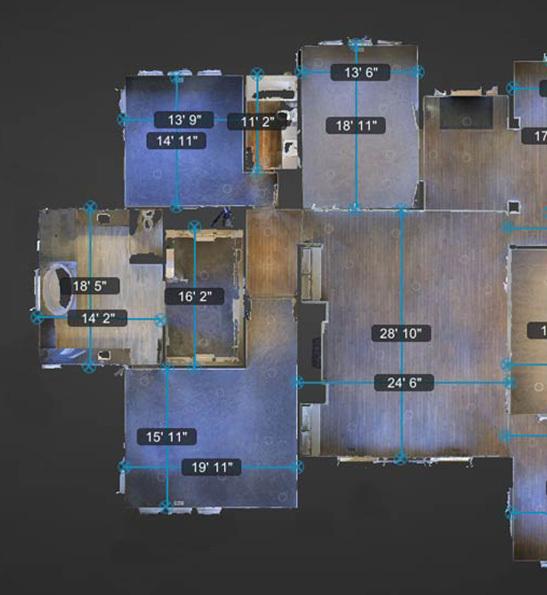 While sellers and buyers are wowed by by the immersive 3D Tour, they still depend on floor plans to visualize the space. 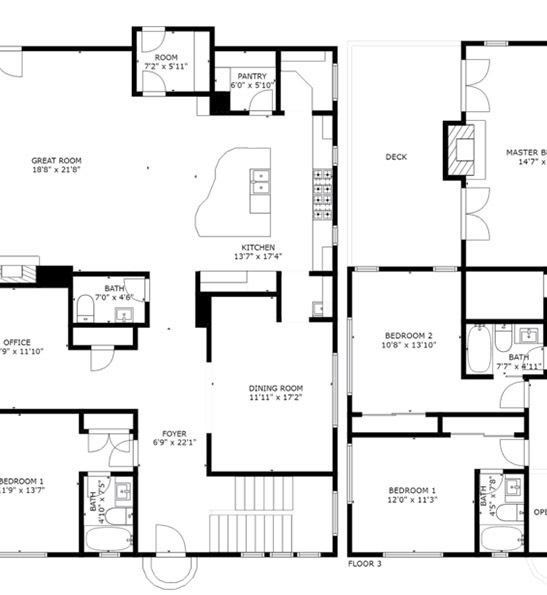 Schematic Floor Plans added to your marketing portfolio, create a complete listing presentation, acquire new sellers, engage more buyers, and ultimately lead to more sales. All dimensions and sizes are accurate! Before we start scanning your location, we always make sure that space is clean, properly staged and perfectly lit for optimal results. We know our equipment inside out. The scanning process is organized, fast and effective. It takes us about 1 hour on the location for every 100 square meters scanned. Our turn around time is best on the market. We guarantee to deliver the entire 3D Tour with the associated package in less than 3 business days! Benefit from your investment right away!